Ever have someone use your Android smartphone or tablet to only later find out that they made a few purchases without you knowledge? Those of you who are parents may really appreciate this feature! 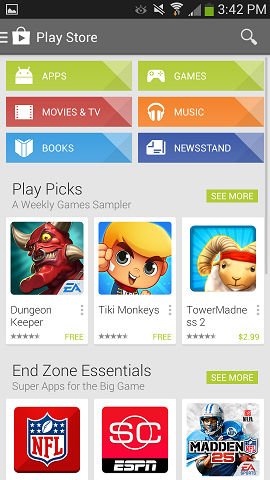 Did you know you could password protect the Android app store? There are times when you may need to let someone else use your Android smartphone or tablet. Perhaps they are a friend, child, sibling, or simply an acquaintance. They may not be aware that installing certain apps may be charging your account. This is especially true with children! Whatever the reason may be, you may be better off just adding some password protection to your Google Play Store app to prevent unauthorized purchases. Check out our step by step tutorial below to learn how to add this feature quickly and easily. As previously mentioned, you can setup password protection to help prevent accidental or unwanted purchases on your Google Play account. On some devices, password protection for purchases is set up on your account without you needing to take any additional action. 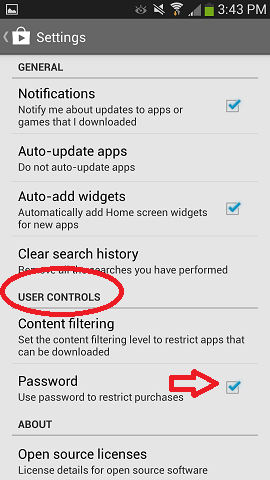 However, if it is not enabled (or you have previously removed it), you can add through your Google Play Store app settings with the easy to follow steps below. Under “User controls,” check the box next to Password – Use password to restrict purchases. Click OK to accept the password. And that’s basically it! 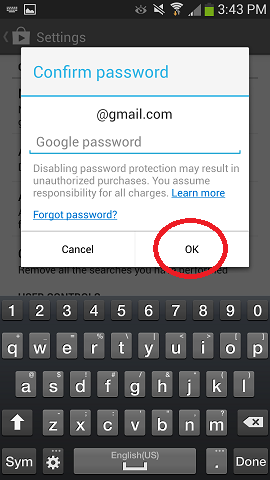 You will now be asked to type in your password before making your next purchase on the Google Play Store. This also includes “in-app” purchases as well. After signing in to your account, you will be able to make purchases on Google Play for 30 minutes without having to re-enter your password. After 30 minutes or more, you will be required to sign into your account on Google Play. 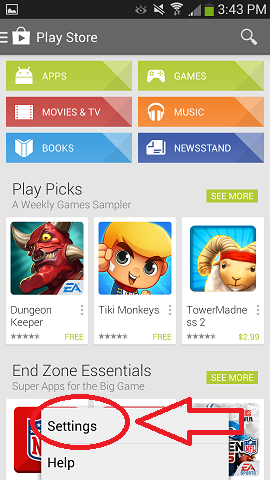 Need to remove the password to the Google Play Store? Just follow the same steps above but this time REMOVE the check box next to the Password setting. Do you have any questions on the process? If so, please feel free to leave us a comment below and let us know what you think!